Evangeline’s eighteenth birthday is looming in the distance, the day the dark deity will demand his payment. Her soul. The only person in her small town of Carrefour, Louisiana that can help is as infuriating as he is scorching hot. 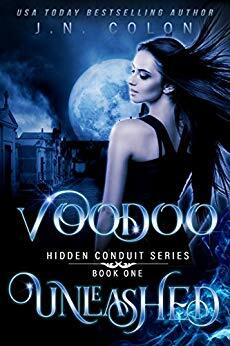 Étienne Benoit is not only a mysterious Cajun living deep in the swamp, but he’s also rumored to know a thing or two about voodoo. $0.99 on Kindle.